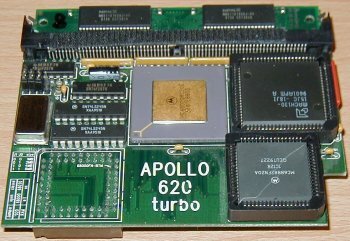 The Apollo 620 clips onto the 68000 chip in the A600. 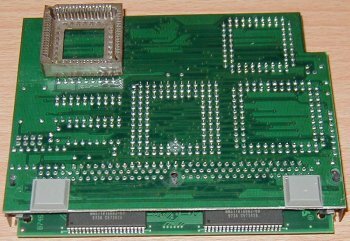 This card is not PCMCIA friendly which means you must jumper it to 4MB if you have more than 4MB installed, if you wish to use PCMCIA cards. It is also notoriously prone to overheating so if your A600 frequently crashes with this card installed, you when need to fit a fan onto the CPU.